ABSTRACT: Recent findings from culture-dependent and culture independent methods have demonstrated that indigenous marine actinomycetes exist in the oceans and are widely distributed in different marine ecosystems. There is tremendous diversity and novelty among the marine actinomycetes present in marine environments. Progress has been made to isolate novel actinomycetes from samples collected at different marine environments and habitats. These marine actinomycetes produce different types of new secondary metabolites. Many of these metabolites possess biological activities and have the potential to be developed as therapeutic agents. Marine actinomycetes are a prolific but underexploited source for the discovery of novel secondary metabolites. INTRODUCTION: Actinomycetes are high GC, Gram-positive bacteria with fungal morphology. They are rich source of secondary metabolites with diverse biological activity. The Gram-positive bacteria fall into two major phylogenetic divisions, “low-GC” and “high-GC". GC content is an abbreviation for the percentage of GC base pairs in an organisms DNA. Those that have a low GC content, have more AT base pairs in their DNA. GC content is a crude measure of the relatedness of microorganisms, but is still useful for differentiating large phylogenetic divisions. They exhibit a wide range of life cycles, which are unique amongst the prokaryotes. Gram-positive bacteria that have been placed within the phylum Actinobacteria, class Actinobacteria, subclass Actinobacteridae, order Actinomycetales which currently consists of 10 suborders, more than 30 families and over 160 genera. Being a large group of microbial resources of wide practical use and high commercial value, actinomycetes contribute to around 70% of the source of antibiotics and also produce numerous non-antibiotic bioactive metabolites, such as enzymes, enzyme inhibitors, immunological regulators, anti-oxidation reagents, and so on. Actinomycetes are widely distributed in natural habitats, especially soil and ocean15. The marine environment harbors millions of species of microorganisms that play important role in mineralization of complex organic matter, degradation of dead plankton, plants, animals, degradation of pollutants and toxicants and primary and secondary productivity. Marine microorganisms have a diverse range of enzyme activity and capable of catalyzing various biochemical reaction with novel enzymes such as amylase, lipase, deoxyribonuclease, lipase and protease. Among the marine microorganisms actinomycetes comprises an important group. They have tremendous potential to synthesize bioactive secondary metabolites. Great strides have been made in understanding the microbes of the seas around India, and these include research in India with the objective of understanding the both mycological and bacteriological aspects, covering near, offshore, and deep-sea waters. India has seas on three sides and is bestowed with long coastline of about 7500 km. This represents a vast potential of exploitable resources. The new ocean regime enabled India to control about 2.01 million square kilometers of sea as its exclusive economic zone (EEZ) ns in India that concentrated on marine microbiology. This is due to the lack of adequate facilities, trained manpower and limited financial support, therefore their work was restricted to coastal areas. Even though people initially concentrated on studies related to microbial participation in biogeochemical cycles, slowly they become involved in other area of research. A considerable amount of work has been carried out to understand the role of microbes in phosphate utilization, nitrogen fixation and silicate solubilization. Some of the extreme halophiles also received attention during this period, but studies were mainly to understand their roles in salt pans and deterioration of dried fish. Another area that attracted attention of the researchers during this period is the production of bioactive compounds by marine microbes. The major group studied in detail was the marine Streptomyces 16. Several hundred species of Streptomyces were isolated from sea water, marine sediments including mangroves, marine mollusks and detritus. One of the significant observations was that nearly 70%of Streptomyces sp. isolated from marine mollusks was antagonistic, whereas only 20-25% of cultures isolated from sediments showed antagonism towards the test microorganism. During this period a novel marine Vibrio sp. was isolated from the marine sediments (east coast) which produced an antileukemic agent (L-asparginase). This was found superior to commercial preparations at that time in the treatment of tumors 17. Nocardioformactinomycetes Aerobic, may be acid-alcohol fast; occur as rods, cocci and branched filaments or form substrate and aerial mycelium that fragment; wall chemotype IV; contain mycolic acids. Actinomycetes with multilocular sporangia Aerobic to facultatively anaerobic; mycelium divides in all planes, no aerial hyphae, wall chemotype III. Actinoplanetes Aerobic sporoactinomycetes, nonmotile, spores may be enclosed within vesicles; no aerial mycelium; wall chemotype II; whole-organism hydrolysates contain arabinose and xylose. Streptomycetesand related genera Aerobic sporoactinomycetes; form an extensively branched substrate and aerial mycelium. Thermoactinomycetes The stable filaments produce aerial growth. Single spores (endospores) are formed on both aerial and vegetative filaments. All species are thermophilic. The cell wall contains meso-DAP but no characteristic amino acids or sugars. During the first half of second phase (1976-1985) studies on microbiological pollution of coastal areas received attention because of its importance in coastal zone management. Several reports on the distribution of human pathogens and indicator bacteria in water, sediments, plankton, and faunal samples along with the Indian coast become available. Researchers reported the occurrence of three new serotypes of Salmonella: S. irumu, S. panama and S. lexington in the environmental samples from Pitchavaram mangroves and velar estuary. Another bacterium of medical significance in the marine environment that received considerable attention is the halophilic Vibrio parahaemolyticus. This bacterium is an etiologic agent of seafood-borne gastroenteritis. A detailed and systematic survey conducted over a period of two years at Parangipettai indicated the ubiquitous presence of Vibrio parahaemolyticus in water, sediment, flora and fauna. In the last decade (1986-1995) investigations were under taken in many areas and on several groups of organisms18. Soil: Actinomycetes constitute a significant component of the microbial population in most soils. It has been estimated that counts of actinomycetes over 1 million per gram are commonly obtained. Over twenty genera have been isolated from soil. Lechevalier and Lechevalier (1967) found that 95% isolates belonged to streptomycetes. Environmental factors influence the type and population of actinomycetes in soil. Most actinomycete isolates behave as neutrophiles in culture, with a growth range from pH 5.0 to 9.0 and an optimum pH around 7.0. The pH is a major environmental factor determining the distribution and activity of soil actinomycetes. Neutrophiles occur in less number in acidic soils below pH 5.0, whereas acidophilic and acidoduric streptomycetes are numerous in acidic soils. However, there are few reports of to 9.5 was isolated from soil near a salt lake. Most actinomycetes behave as mesophiles in the laboratory, with optimum growth temperature at 25 to 30oC. Many mesophilic actinomycetes are active in compost. However, the capacity of self-heating during decomposition often provides ideal conditions for obligate or facultative thermophilic actinomycetes able to grow at temperatures above 40oC. Actinomycetes play an important role in the decomposition of plant and other material especially in the degradation of complex and relatively recalcitrant polymers. They degrade lignin, cellulose and lignocellulose. There is evidence that actinomycetes are involved in the degradation of many other naturally occurring polymers in soil such as hemicellulose, pectin, keratin, chitin and fungal cell wall material. Actinomycetes from rhizosphere suppress the growth of pathogens. Isolates from rhizosphere hydrolyses starch. Some rhizosphere isolates can synthesise gibberellin like substances. Some actinomycetes produce indole acetic acid in culture and when inoculated into soil. Actinomycetes, particularly Streptomyces play a major role in antagonistic interactions in soil. Rhizosphere Streptomyces have been known as agents for control of fungal root pathogens. Many antagonistic interactions other than antibiotics may occur between Streptomyces and fungi. Reduced incidence of root infection has been correlated with an increase in number of Streptomyces in the rhizosphere which inhibits the pathogen by production of antifungal antibiotics. Actinoplanes can act as biological control agents of plant diseases 5. Compost and related materials: Many mesophilic actinomycetes are active in compost in the initial stages of decomposition. However, the capacity for self-heating during decomposition provides ideal conditions for obligate or facultative thermophilic actinomycetes. Some genera like Thermo-actinomycetes and Saccharomonospora are strictly thermophilic. Thermophilic actinomycetes grow well on animal manure. They have been active in fermentation of pig faeces, straw and deodorization of pig faeces. Thermomonospora species particularly grow during the second indoor phase of preparation of manure for mushroom cultivation, whereas Streptomyces diastaticus and Thermo actinomyces vulgaris predominate in the spent, steamed compost and its dust. Thermomonospora curvata was shown to be active in decomposition of municipal waste compost and to produce thermostable C1 and Cx cellulose. Actinoplanes and related organisms are common in soils, rivers and lakes and can grow on plant litter in rivers. The Micromonospora were considered to be indigenous to fresh water ecosystem and they had a role in the turnover of cellulose, chitin and lignin. Several workers confirmed the presence of Micromonospora in streams, rivers and lake sediments. Streptomycetes spores are also being continually washed into freshwater and marine habitats. Some investigators have claimed the existence of aquatic streptomycetes and growth on the chitinous exoskeletons of Procambarus versutus immersed in a woodland stream. Actinomycetes change taste and odour of potable water rendering it unpalatable. Earthy taste and odour is caused because of compounds like geosmin and methyl iso-borneol the products produced by Streptomyces. Plant and animal debris at water margins can provide substrates for actinomycetes growth and geosmin production 6. Marine habitats: Actinomycetes were mentioned incidentally in early studies on the microbial community of marine habitats. The selective isolation procedures and reliable diagnostic tests were not used in such pioneering surveys. There is evidence that actinomycetes usually form a small fraction of the bacterial flora in marine habitats and counts are low compared with those from terrestrial and freshwater sites. Some workers considered actinomycetes to be part of an indigenous marine microflora, whereas others saw them primarily as wash-in components that merely survived in marine and littoral sediments as spores. This latter view is supported by the observation that the numbers of actinomycetes in marine habitats decrease with increasing distance from land. It has been suggested that the isolation of organisms from marine sites far removed from the possibilities of terrestrial contamination could be used as evidence of a marine origin but it is now evident that the endospores of Thermoactinomyces can be transported very long distances by ocean currents. Sediment collected from a depth of 4920 meters in the Atlantic Ocean 500 miles from land was found to contain small numbers of thermo actinomycetes. Okami and Okazaki (1978) observed that actinomycetes were widely distributed in the marine environment. The occurrence of Streptomyces, Nocardia and Micromonospora growing on dead marine algae and contact slides suspended in the sea has been reported. Study of actinomycete distributions in sediments is depending upon the depth from which samples are collected. The best marine source of actinomycetes is sediment and also reported from water, sand, rocks, seafood's, marine plants, mangrove sediment and deep sediment. Actinomycetes from marine sources have been reported to decompose agar, alginates, cellulose, chitin, oil and other hydrocarbons. They have been also implicated in the decay of wood submerged in seawater. Atlas (1981) included the genera Arthrobacter, Brevibacterium, Corynebacterium and Nocardia among the microorganisms important in the degradation of petroleum hydrocarbons in aquatic habitats. Actinomycetes have been shown to degrade cellulose, starch and lignin in seawater under laboratory conditions 21. Characteristics and nutrition of Actinomycetes: Actinomycetes are heterotropic in nature. Most of them are strict saprophytes, while some from parasitic or mutualistic associations with plants and animals. Actinomycetes are commonly believed to have a role in the recycling of nutrients. They are aerobic and some like Actinomyces are anaerobic. The species like Frankia require very specialized growth media and incubation conditions 5. Many actinomycetes are growing on the common bacteriological media used in the laboratory such as nutrient agar, trypticase agar, blood agar, brain heart infusion agar and starch casein agar. Sporoactinomycetes require special media to allow differentiation and the development of characteristic spores and pigments. Some of these media are not available commercially and must be prepared in the laboratory using colloidal chitin, soil extract and decoctions of plant materials. Pale, shiny, hard colonies of Streptomyces species on nutrient agar can be transformed into bright yellow colonies with a powdery white aerial mycelium and spirals of arthrospores when the organism is subcultured on a more suitable growth medium, such as oatmeal or inorganic salts starch agar. Outgrowths from a spore or fragments of mycelium develop into hyphae that penetrate the agar (substrate mycelium) and hyphae that branch repeatedly and become cemented together on the surface of the agar to form a tough, leathery colony. The density and consistency of the colony is depending on the composition of the medium. Nocardioform actinomycetes exhibit fragmentation, the hyphae breakup into rods and cocci and form soft or friable colonies 6. In strains of certain genera such as Streptomyces, the colony becomes covered with free, erect hyphae surrounded by a hydrophobic sheath that grow into air away from the colony (aerial mycelium). These hyphae are initially white but forms different colours when spore formation begins. Colonies appear powdery or velvety and readily distinguished from the more typical bacterial colonies. Streptomyces species have chains of spores on the aerial mycelium, which are normally absent from the substrate mycelium. These spores are arthrospores, regular segments of hyphae with a thickened spore wall surrounded by a hydrophobic sheath that may bear spin or hairs 7. Novel approaches in isolation of Actinomycetes: Experience has shown that discoveries of previously unknown and important natural products occur when new screening systems are utilized. The isolation of actinomycetes from mixed microflora present in nature is complicated because of their characteristic slow growth relative to that of other soil bacteria. There are five basic stages for the isolation of industrially important actinomycetes. Choice of substrate: Isolation of actinomycetes from freshwater and marine environment has been reported. There must be some differences between organisms existing in marine and terrestrial environments. In the course of screening of actinomycetes isolated from shallow sea area, some antagonistic actinomycetes, such as xanthomycin producing actinomycetes have been isolated more frequently than from terrestrial soil. Few of these actinomycetes were found to be new and produce either new antibiotics or biologically active substances under specially devised conditions. Thus, the isolation of actinomycetes from marine areas gives us another source for finding new actinomycetes and new antibiotics. Re-heat treatment: Pretreatment that allows the selective isolation of an actinomycetes component normally found to be rare or absent in soils. One such example is the rehydration technique applied to leaf litter from freshwater habitats, which has yielded many actinoplanetes and the novel genus ‘Cupolomyces. The aerial spores of most actinomycetes generally resist desiccation and show higher resistance to wet or dry heat. Such mild temperature treatments significantly reduce the numbers of Gram-negative bacteria. Drying plus mild heat treatments coupled with selective media can yield well-separated bioactive actinomycetes isolated from marine sediments. Nonomura and Ohara (1969) used pre-treatment such as dry heating, specialized growth media and long incubation times to isolate new species of Actinomadura, Microbispora, Micro tetraspora, Streptosporangium, Thermom- onospora and Thermoactinomyces. Many antibiotics are tested against a range of actinomycetes, bacteria and fungi representing types found in soil. From these, nystatin (50 mg/ml), acetidione (50 mg/ml), polymyxin B sulphate (5 mg/ml) and sodium penicillin (1 mg/ml) are generally selected for incorporation into a starch casein medium to achieve selective growth of actinomycetes on soil dilution plates. Recently, differences in sensitivity to antibiotics have been used to increase the selectivity of media for particular actinomycetes. Thus, tetracycline or its derivatives have been used for the isolation of Nocardia spp., novobiocin for Thermoactinomycetes spp. and rubomycin, bruneomycin, streptomycin, kanamycin and rifampicin for Actinomadura spp. novobiocin for Thermoactinomycetes spp. and rubomycin, bruneomycin, streptomycin, kanamycin and rifampicin for Actinomadura spp. Different actinomycetes species are isolated using different compounds are shown in figure 1 19. Selective media: Bacteriostatic and fungistatic chemicals such as phenol and sodium propionate have been incorporated into isolation media to suppress growth of bacteria and moulds and thus favour actinomycetes. But such amendments at permissible concentrations frequently allow growth of contaminants and at higher levels may also suppress actinomycete. Chitin agar with mineral salts is more effective than that without mineral salts for isolating actinomycetes from water. Chitin agar showed selectivity superior to that of other media for isolating actinomycetes from water and soil 13. Incubation: The majority of antibiotic producing actinomycetes grow best between 25 to 30oC. Thermopiles are incubated at 40 to 45oC and psychrophiles at 4 to 10oC. Incubation times for isolation plates are usually from 7 to 14 days. Longer incubation times have often been disregarded because of the slow growing actinomycetes would be unsuitable candidates for economic fermentation. However, the early growth of some species of bacteria can modify the nutrient environment of the isolation plate by supplying growth factors. 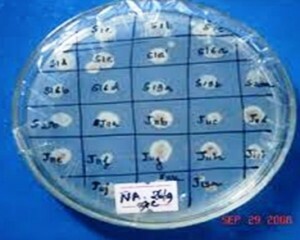 For isolation of novel actinomycetes incubation period may be extended for one month. Colony Selection: Selection of a colony is the most time consuming method. It depends upon the aims of the screening programme. There might be much duplication of the colonies. For isolation of microorganisms, more rational ways must be utilized. The majority of researchers now select candidate colonies by using a stereomicroscope and transferring growth with the aid of a pointed wooden cocktail stick. Tiny colonies can be distinguished and chosen and the rough wooden points carry sufficient spores or hyphal fragments to give a successful transfer. The site of sample collection, knowledge of the secondary metabolite of an isolate, objective enrichment techniques and objective culture media formulations would lead to an isolation of novel and potential isolates19. Biotechnology and Importance of actinomycetes: The attention given to the actinomycetes in biotechnological applications is a natural result of the great metabolic diversity of these organisms and their long association with the environment. Actinomycetes are a unique group of organisms in the prokaryotes having different morphological, cultural, biochemical and physiological characters. This group is a potential producer of antimicrobial substances, enzyme inhibitors, immunomodifiers, enzymes and growth promoting substances for plants and animals19. Antibiotics: Actinomycetes have been known as the greatest source of antibiotics. Two third of today’s antibiotics are obtained from actinomycetes. The important antibiotics from actinomycetes include anthracyclines, aminoglycosides, b-lactams, chloramphenicol, macrolides, tetracyclines, nucleosides, peptides and polyethers. Until 1974 antibiotics of actinomycete origin were almost exclusively confined to Streptomyces. Recently efforts have been made to explore rare actinomycetes like Actinomadura, Actinoplanes, Ampullariella, Actinosynnema and Dactylosporangium for the search of new antibiotics. Target directed screening is being used for screening of antibiotic producing actinomycetes. Molecular biological techniques have helped on large scale in finding new antibiotics from actinomycetes. The importance of actinomycetes in industrial biosynthesis has stimulated many aspects of basic research on these microorganisms21. Transformation of Xenobiotics: Transformation of xenobiotics is defined as the structural modification of components foreign to an organism’s metabolism, which occur in its chemical environment. The most characteristic reactions in transformation of xenobiotics are oxidative, reductive, hydrolytic, dehydration and condensation. The ability of actinomycetes to perform a variety of microbial conversions of organic compounds is an important factor in the complicated processes of biodegradation of pollutants in soil and water. Members of the genera Nocardia and Streptomyces have ability to perform highly selective chemical modifications of complicated compounds of natural and synthetic origin. Nocardia strains have been found to degrade aromatic hydrocarbons by hydroxylation. Actinomycetes have the ability to hydroxylate aliphatic chains of hydrocarbons in the terminal and subterminal position and subsequently followed by shortening of the transformed chains. Actinomycetes are able to degrade certain pesticides. The herbicide, dalapon, 2, 2-dichloropropionic acid was degraded by Nocardia strains isolated from soil23. Immunomodifiers: Low molecular weight compounds have been isolated from culture filtrates of actinomycetes, which enhance immune responses. Such agents are called as immunomodifiers. Inhibitors of enzymes located on the surface of cell involved in immunity may bind to such cells and augment immune responses. Bestatin from Streptomyces olivoreticuli, amastatin from Streptomyces species ME 98-M-3, phenicine from Streptomyces lavendulae enhanced immune responses in mice. Immunosuppressive agents such as FR-900506 reported by Fujisawa pharmaceutical company, produced by Streptomyces tsukubaensis sp. Nov. shows stronger inhibition against interleukin-2 production, mixed lymphocyte reaction, interferon, cytotoxic-T cells and platelet activating factor-C induction 26. Biosurfactant: A biosurfactant is defined as a surface-active molecule produced by living cells mainly by microorganisms. The term biosurfactant has been used to refer to any compound that is synthesized by microorganisms having some influence on interfaces. The evaluation of biosurfactants is carried out through surface tension measurements. In the literature, the term's surfactant and emulsifier are frequently used interchangeably. Biosurfactants have many advantages over their chemically synthesized counterparts. They are highly specific, less toxic and biodegradable. They are effective at extreme conditions of temperature, pH and salinity. They are easy to synthesize from cheaper and renewable feed stocks. Actinomycetes play major role in production of bioemulsifiers. Trehalose dimycolates produced by Rhodococcus erythropolishas been extensively studied by Wagner and his group 27, 28. Enzyme Inhibitors: Actinomycetes synthesise enzyme inhibitors of low molecular weight. Umezawa reported the first low molecular weight enzyme inhibitor, by a streptomycetes strain. Since then more than 60 inhibitors have been reported including leupreptins, which inhibit papain, plasmin and trypsin. Antipain inhibits papain, chymotrypsin, trypsin and cathepsnin B. Enzyme inhibitors are finding possible uses in cancer treatment. e. g. revistin, an enzyme inhibitor from Streptomyces species inhibit reverse transcriptase. Streptonigrin and retrostatin synthesized by Streptomyces inhibit reverse transcriptase. Alistragin found in culture filtrates of Streptomyces roseoviridis which inhibits carboxypeptidase B. Phosphoramiden, which inhibits metallo-proteases is produced by S. tanashiensi 31. Amylase enzyme: α-Amylases are starch-degrading enzymes that catalyze the hydrolysis of internal a-1, 4-O-glycosidic bonds in polysaccharides with the retention of a α-anomeric configuration in the products. Most of the α-amylases are metalloenzymes, which require calcium ions (Ca2+) for their activity, structural integrity and stability. They belong to family 13 (GH-13) of the glycoside hydrolase group of enzymes. α-Amylases are one of the most important industrial enzymes that have a wide variety of applications ranging from conversion of starch to sugar syrups, to the production of cyclodextrins for the pharmaceutical industry. These enzymes account for about 30 % of the world’s enzyme production. The α-amylase family can roughly be divided into two groups: the starch hydrolyzing enzymes and the starch modifying, or transglycosylating enzymes. The enzymatic hydrolysis is preferred to acid hydrolysis in starch processing industry due to a number of advantages such as specificity of the reaction, stability of the generated products lower energy requirements and elimination of neutralization steps. Due to the increasing demand for these enzymes in various industries, there is enormous interest in developing enzymes with better properties such as raw starch degrading amylases suitable for industrial applications and their cost effective production techniques18. Lipase enzyme: Lipases are part of the family of hydrolases that act on carboxylic ester bonds. The natural function of lipases is to hydrolyze triglycerides into diglycerides, monoglycerides, fatty acids, and glycerol. Lipases are widely distributed throughout the plant and animal kingdoms, as well as in molds and bacteria. In addition to lipases, carboxylic esters bonds can be hydrolyzed by esterases1. Thermos table/alkalophilic enzymes: The importance of thermostable lipases for different applications has been growing rapidly. Most of the studies realized so far have been carried out with mesophilic producers. Many lipases from mesophiles are stable at elevated temperatures. Proteins from thermophilic organisms have been proved to be more useful for biotechnological applications than similar proteins from thermophiles due to their stability. Biocatalyst thermostability allows a higher operation temperature, which is clearly advantageous because of a higher reactivity (higher reaction rate, lower diffusional restrictions), higher stability, higher process yield (increased solubility of substrates and products and favorable equilibrium displacement in endothermic reactions), lower viscosity and fewer contamination problems. These advantages surmount certain drawbacks arising from more stringent requirements for materials, harder post-reaction inactivation, and restrictions in the case of labile substrates or products. Thermostable biocatalysts are therefore highly attractive. Thermostable enzymes can be obtained from mesophilic and thermophilic organisms; even psycrophiles have some thermostable enzymes. Thermophiles represent an obvious source of thermostable enzymes, being reasonable to assume that such character will confer their proteins a high thermal stability. This is certainly so, as can be appreciated in the case of several biotechnologically relevant enzymes from the hyperthermophilic archaebacteria Pyrococcus furiosus and Thermotoga2, 3, 8. Gilatinase enzyme: In biology and chemistry. Gelatinase is a proteolytic enzyme that allows a living organism to hydrolyse gelatin into its sub compounds (polypeptides, peptides, and amino acids) that can cross the cell membrane and be used by the organism. It is pepsin. Forms of gelatinases are expressed in several bacteria including Pseudomonas aeruginosa and Serratia marcescens. In humans, the genes for gelatinases are MMP2 and MMP9. Chitinase enzyme: Chitinases have an immense potential. Chitinolytic enzymes have wide-ranging applications such as preparation of pharmaceutically important chitooligo-saccharides and N-acetyl d-glucosamine, preparation of single-cell protein, isolation of protoplasts from fungi and yeast, control of pathogenic fungi, treatment of chitinous waste, and control of malaria transmission. In this review, we discuss the occurrence and structure of chitin, the types and sources of chitinases, their mode of action, chitinase production, as well as molecular cloning and protein engineering of chitinases and their biotechnological applications11. Application of α-amylase enzyme: α - Amylases are the enzymes first to be commercially produced and marketed. Dr. J. Takamine established the first industrial production of α -amylase from A. oryzae known as “Taka diastase”, which was used as a digestive aid. The global market for enzymes was about $ 2 billion in 2004. It is expected to have an average annual growth rate of 3.3 %. The share of carbohydrases comprising amylases, isomerases, pectinases and cellulases is about 40 %. The food and beverage sectors utilize90 % of the carbohydrases produced. The annual sale of α- amylases in global market is estimated to be $11 million. The world production of α- amylases from B. licheniformis and Aspergillus sp. was about 300 tons of pure enzyme protein per year1, 2, 3. Application of Protease Enzyme: The bulk uses of alkaline proteases in industrial sectors are described in the following section. Food and feed industry. Traditionally, microbial proteases have been exploited in the food industries in many ways. Alkaline proteases have been used in the preparation of protein hydrolysates of high nutritional value. The protein hydrolysates play an important role in blood pressure regulation and are used in infant food formulations, specific therapeutic dietary products and the fortification of fruit juices and soft drinks. The basic function of proteases is to hydrolyze proteins; and this property has been exploited for the preparation of protein hydrolysates of high nutritional value. The alkaline proteases are used in hydrolysate production from various natural protein substrates. Leather industry: The conventional methods in leather processing involve the use of hydrogen sulfide and other chemicals, creating environmental pollution and safety hazards. Thus, for environmental reasons, the biotreament of leather using an enzymatic approach is preferable as it offers several advantages, e.g. easy control, speed and waste reduction, thus being ecofriendly. Alkaline proteases with elastolytic and keratinolytic activity can be used in leather-processing industries. Proteases find their use in the soaking, dehairing and bating stages of preparing skins and hides. The enzymatic treatment destroys undesirable pigments, increases the skin area and thereby clean hide is produced. Bating is traditionally an enzymatic process involving pancreatic proteases. However, recently, the use of microbial alkaline proteases has become popular. Alkaline proteases speed up the process of dehairing, because the alkaline conditions enable the swelling of the hair follicle protein allows easy removal of the hair. Reported the use of B. subtilis IIQDB32 alkaline protease for unhairing sheepskin. Photographic industry: Alkaline proteases play a crucial role in the bio processing of used X-ray or photographic films for silver recovery. These waste films contain 1.5–2.0% silver by weight in their gelatin layer, which can be used as a good source of silver for a variety of purposes. Conventionally, this silver is recovered by burning the films, which causes undesirable environmental pollution. Further- more, base film made of polyester cannot be recovered using this method. Since the silver is bound to gelatin, it is possible to extract silver from the protein layer by proteolytic treatments. Enzymatic hydrolysis of gelatin not only helps in extracting silver, but also the polyester film base can be recycled. Alkaline protease from B. subtilis decomposed the gelatin layer within 30 min at 50-60°C and released the silver have reported the use of alkaline protease of Bacillus sp. B21-2 for the enzymatic hydrolysis of gelatin layers of X-ray films to release silver particles. The alkaline proteases of Bacillus sp. B18 and B. coagulans PB-77 were also efficient in decomposing the gelatinous coating on used X-ray films from which the silver could be recovered. Medical usage: Alkaline proteases are also used for developing products of medical importance exploited the elastolytic activity of B. subtilis 316M for the preparation of elastoterase, which was applied for the treatment of burns, purulent wounds, carbuncles, furuncles and deep abscesses. Kim et al., reported the use of alkaline protease from Bacillus sp. strain CK 11-4 as a thrombolytic agent having fibrinolytic activity. Silk degumming: One of the least explored areas for the use of proteases is the silk industry and only a few patents have been filed describing the use of proteases for the degumming of silk. Sericin, which is about 25% of the total weight of raw silk, covers the periphery of the raw silk fibers, thus providing the rough texture of the silk fibers. This sericin is conventionally removed from the inner core of fibroin by conducting shrink-proofing and twist-setting for the silk yarns, using starch. The process is generally expensive and therefore an alternative method suggested is the use of enzyme preparations, such as protease, for degumming the silk prior to dyeing. In a recent study in our laboratory, the silk-degumming efficiency of an alkaline protease from Bacillus sp. RGR-14 was studied and results were analyzed gravimetrically (fiber weight reduction) and by scanning electron microscopy. Detergent industry: Enzymes have long been of interest to the detergent industry for their ability to aid in the removal of proteinaceous stains and to deliver unique benefits that cannot otherwise be obtained with conventional detergent technologies30, 31. Pharmaceutical Industry: In the pharmaceutical industry, biocatalysis offers numerous advantages over chemical synthesis, thereby justifying the growing demands for enzymes. These advantages include enantio- and regioselectivity; mild conditions that avoid isomerization, racemization, epimerization and rearrangement reactions; overexpression of the enzymes; reuse of the immobilized biocatalysts; economy of the process; and mutagenesis of the enzymes for specific functions. The ability of lipases to resolve racemic mixtures by the synthesis of a single enantiomer is currently exploited for drug production by the pharmaceutical industry. In fact, only one enantiomer of a drug is responsible for the desired therapeutic effect, and milderor fewer side effects are observed when using optically pure drug products compared with those found with the use of racemic mixtures. Some of the lipases listed in Table 1 are suitable to be used in the synthesis of various enantiopure molecules such as alcohols, amides, carboxylic acids, and esters. These molecules are used in anti-inflammatory drugs (ibuprofen, naproxen), anticancer drugs an antiviral drug (lobucavir), an antihypertensive drug (captopril), anti-cholesterol drugs (squalene synthase inhibitor), an anti-Alzheimer disease drug ([S]-2-pentanol), and vitamin A. Resolution of Racemic Chemicals: The anticancer drug Taxol® (paclitaxel) is an antimitotic agent that inhibits the depolymerization process of microtubulin during mitosis. This drug is used in the treatment of ovarian cancer and metastatic breast cancer. Taxol® generates annually about US $1 billion in sales. Paclitaxel was originally extracted and purified from the bark of the yew Taxusbrevifolia in a very low yield. Paclitaxel was also be obtained by a semisynthetic process by coupling baccatin III (paclitaxel without the C-13 side chain) or 10-deacetylbaccatin II ([10-DAB], paclitaxel without the C-13 side chain and the C-10 acetate) to C-13 paclitaxel side chains. Baccatin III and10-DAB can be extracted from renewable sources such as the extract of needles, shoots, and young Taxus cultivars, therefore eliminating the cutting of yew trees. The C-13 paclitaxel side chain was obtained from the enantioselective hydrolysis of racemic acetate-cis-3-(acetoxy)-4-phenyl-2-azetidione to the corresponding (3S)-alcohol and the intact desired (3R)-acetate. Hydrolysis was catalyzed by the lipase PS-30 from Pseudomonas cepacia or Bristol-Myers Squibb (BMS) lipase from Pseudomonas sp. SC 13856. Both lipases were immobilized on Accurel Polypropylene before use. An enantiomeric excess (ee) of >99.5% and reaction yields of >48% (maximum theoretical yield: 50%) were obtained for (3R)-acetate. The process was scaled up to 75 and 150 L using immobilized BMS lipase and Lipase PS-30, respectively. Resolution of Racemic Ester: With an annual market of about US $85 million in 1996 and 22.5 billion Yen in 2002, diltiazem, a calcium channel blocker, constitutes another economical, important industrial lipase application. Tanabe manufactures 50 t of diltiazem annually. Resolution of racemic epoxyesters represents a key step in the production of an important intermediate essential for the synthesis of diltiazem. This enantio specific hydrolysis is catalyzed by a lipase from Serratia marcescens. The product of the reaction, 2(R), 3(S)-methyl-p-methoxyphenylglycidate, is found in an ee of >98% and is later converted into diltiazem (6). Sepracor has successfully operated a multi-phase membrane bioreactor at a multi kilogram scale to produce the key diltiazem intermediate 2(S), 3(R)-methoxyphenyl glycidate32, 38. CONCLUSION: Studies on actinomycetes are very limited and the actinomycetes have been mentioned incidentally, on the microbial community of marine habitats. Further, only little information is available on the actinomycetes of the mangrove environment (which is one among the most productive coastal ecosystems) with regard to their occurrence and distribution. Recent findings from culture-dependent and culture independent methods have demonstrated that indigenous marine actinomycetes exist in the oceans and are widely distributed in different marine ecosystems. There is tremendous diversity and novelty among the marine actinomycetes present in marine environments. Progress has been made to isolate novel actinomycetes from samples collected at different marine environments and habitats. These marine actinomycetes produce different types of new secondary metabolites. Aiyer, P.V.D. (2004). Effect of C: N ratio on alpha amylase production by Bacillus licheniformis SPT 278. Afr J Biotechnol 3: 519–522. Arnesen, S., Eriksen, S.H., Olsen, J. and Jensen, B. (1998). Increased production of a-amylase from Thermomyces lanuginosus by the addition of Tween 80. Enzyme Microb Technol 23: 249–252. Atlas, R.M. (1981). Microbial degradation of petroleum hydrocarbons: an environmental perspective. Microbiol Rev 45(1): 180-209. Attwell, R.W. and R.R. Colwell (1984). Thermoactinomycetes as terrestrial indicators for estuarine and marine waters. In: Biological, biochemical and biomedical aspects of actinomycetes (L. Ortiz – Ortiz and L.F. Bojalil, eds.) Academic Press Inc. pp. 441-472. Ayakkanu, K. and Chandramohan, D (1971). Occurance and distribution of phosphate solubilizing bacteria and phosphatase in marine sediments at portonovo. Mar Biol 11: 201-205. Burman, N.P. (1973). The occurrence and significance of actinomycetes in water supply. In: Actinomycetales: Characteristics and practical importance. (G. Sykes and F.A. Skinner, eds.). Academic Press, London and New York. pp. 219-230. Baysal, Z., Uyar, F., Aytekin, C. (2003). Solid-state fermentation for productionof α-amylase by a thermotolerant Bacillus subtilis from hot-spring water. Process Biochem 38: 1665–1668. Baig, M.A., Pazlarova, J., and Votruba, J. (1984). Kinetics of α-amylase production batch and fedbatch culture of Bacillus subtilis. Folia Microbiologia 29: 359-364. 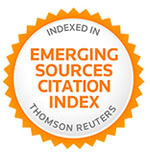 Behal, A., Singh, J., Sharma, M.K., Puri, P., and Batra, N. (2006). Characterization of alkaline α-amylase from Bacillus sp. AB04. Int J Agr Biol 1: 80-83. Bordbar, A.K., Omidiyan, K., Hosseinzadeh, R. (2005). Study on interactionof α-amylase from Bacillus subtilis with cetyl trimethylammonium bromide. Colloids Surf B Biointerfaces 40: 67–71. Carbajal, A.F, and Soto, O.J. (2002). Thermostable α-1, 4- and α-1, 6-glucosidase enzymes from Bacillus sp. isolated from a marine environment. World J Microbiol Biotechnol 18: 791-795. Carlsen, M., Nielsen, J.and Villadsen, J. (1996). Growth and α-amylase production by Aspergillus oryzae during continuous cultivations. J Biotechnol 45: 81–93. Chandra, A.K., Medda, S., and Bhadra. A.K. (1980). Production of extracellular thermostable α- amylase by Bacillus licheniformis. J Fermentation Technol, 58: 1-10. Chandramohan, D. (1991). Coastal microbial processe In: Natarajan. R, Dwivedi SN, Ramachandran S (eds). Coastal zone management (In Tamilnadu state, India). Ocean data centre, Anna University, Madras, p 93. Chandramohan, D. (1992). Tropical marine ecosystem:the microbial component In : Singh, K.P, Singh J.S (eds). Tropical ecosystem-ecology and management. Wiley eastern Limited, New Delhi, p 241. Chandramohan, D. (1997). Recent advances in marine microbiology: The Indian scenario. J Mar Biotechnol 5: 73–81. Chandrasekaran, M. (1997). Industrial enzymes from marine microorganisms: The Indian scenario. J Mar Biotechnol 5: 86–89. Collins, C.H., Lyne P.M. and Grange J.M (1995). Microbiological methods. 7th edition, Butterworth Heinemann Ltd. London. Coronado, M.J., Vargas, C., Hofemeister, J., Ventosa, A., and Nieto, J.J. (2000). Production and biochemical characterization of an α-amylase from the moderate halophile Halomonas meridiana. FEMS Microbiol Lett 183: 67–71. Cross, T. (1981). Aquatic actinomycetes: A critical survey of the occurrence, growth and role of actinomycetes in aquatic habitats. J Appl Bacteriol 50: 397-423. Demain, A.C.R. (1972). Influence of environment on the control of enzyme synthesis. J Appl Chem Biotechnol 22: 245-259. Dettori, B.G., Priest F.G., J.R. Stark, (1992). Hydrolysis of starch granules by the amylase from Bacillus stearothermophilus NCA 26. Process Biochem. 27: 17–21. Deutch, C.E. (2002). Characterization of a salt-tolerant extracellular α-amylase from Bacillus dipsosauri. Lett in Appl Microbiol 35: 78–84. Drouin, C.M. and Cooper, D.G. (1992). Biosurfactant and aqueous two-phase fermentation. Biotechnol Bioeng 40: 86-90. Fiechter, A. (1992). Biosurfactants: moving towards industrial applications. Trends Biotechnol. 10(6): 208-217. Feller, G., Le Bussy, O. and Gerday, C. (1998). Expression of psychrophilicgenes in mesophilic hosts: Assessment of the folding state of a recombinant α-amylase. Appl. Environ. Microbiol. 64: 1163–1165 London. pp. 453-472. Fogarty, M.W. (1983). Microbial Amylases. In: Microbial Enzymes and Biotechnology, W.M. Fogarty (Ed.). 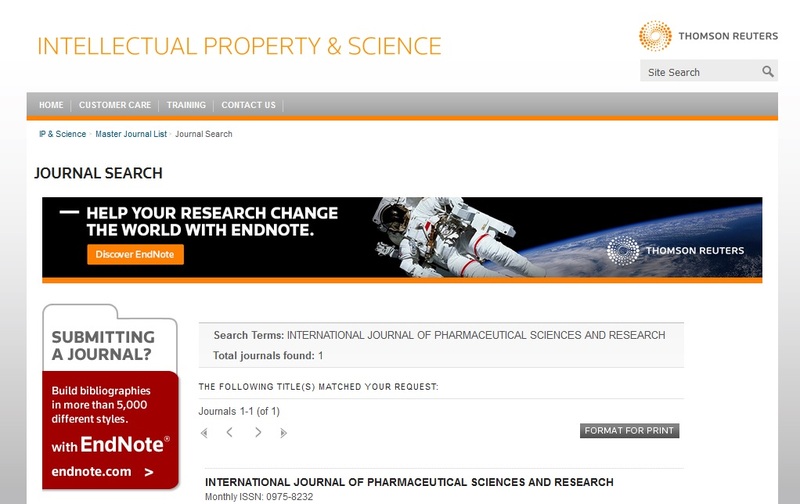 Applied Science PublishersLtd. London, UK pp. 1–92. Goodfellow M., Williams, S.T. and Mordarski, M. (1988). Actinomycetes in Biotechnology. Academic Press, London. Goodfellow, M. and Williams, S.T. (1983). Ecology of actinomycetes. Ann Rev Microbial 73: 189-216. Gomes, I., Gomes, J. and Steiner, W. (2003). Highly thermostable amylaseand pullulanase of the extreme thermophilic eubacterium Rhodothermus marinus: Production and partial characterization. Bioresour Technol 90: 207–214. Haq, I., Ashraf, H., Ali, S. and Qadeer, M.A. (1997). Submerged fermentation of alpha amylase by Bacillus licheniformis GCB 36, Biologia (Bratislava). 43: 39–45. Hayashida, S. and Teramoto, Y. (1986). Production and characteristics of raw-starch-digesting α-amylase from a protease negative Aspergillus ficuum mutant. Appl Environ Microbiol 52: 1068–1073. Henrissat, B. (1991). A classification of glycosyl hydrolases based on amino acid sequence similarities. J Biochem 280: 309-316. Holt, J.H. (1994). In: Bergey's Manual of Determinative Bacteriology, Ninth edition. Williams and Wilkins, London. Hoopwood D. A. and Glauert. A. M. (1961). Electron microscope observations on the surface of Streptomyces violaceorube. J Gen Microbiol 26: 325-330. C. Dilip V., Mulaje S. S., Mohalkar R.Y. : A Review on Actinomycetes and Their Biotechnological Application. Int J Pharm Sci Res 2013; 4(5); 1730-1742. Authors: Chavan Dilip V.*, Mulaje S. S., Mohalkar R.Y.